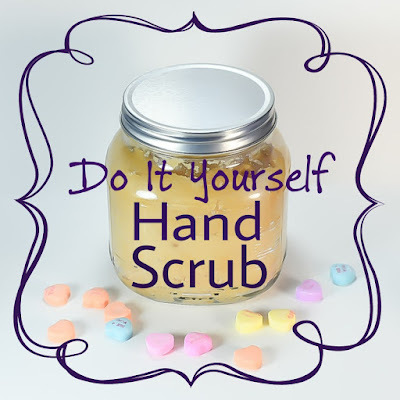 I have been making this do it yourself hand scrub for about two years now. 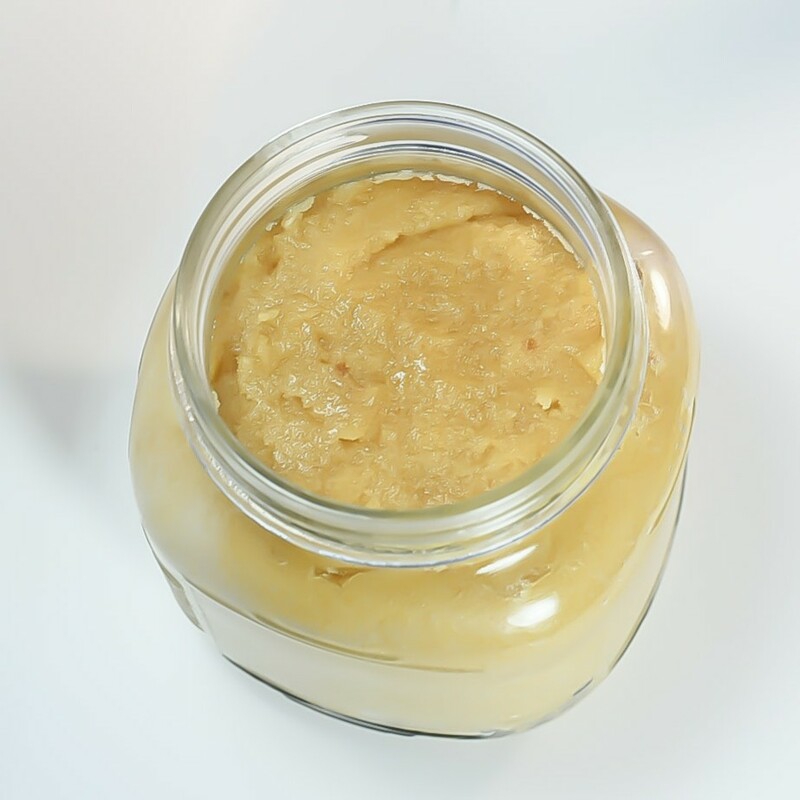 My recipe began when I needed an exfoliator for my dry winter hands. Since I spend all my fun money on nail polish, I decided to do it myself instead of buying an expensive scrub. I had read sugar or sea salt make the best exfoliant and I had just discovered the amazingness of coconut oil. So, I combined the sugar and coconut oil and loved the combination. 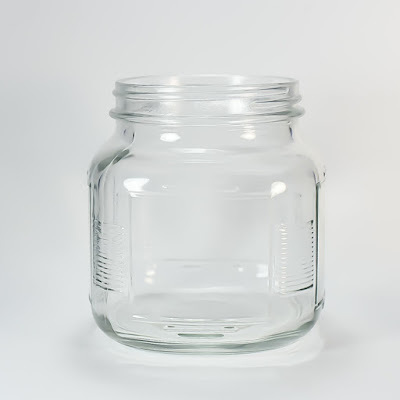 I use an empty jar. I bought this for $2 at our local dollar store. Add 1 cup white sugar and 1 cup brown sugar. 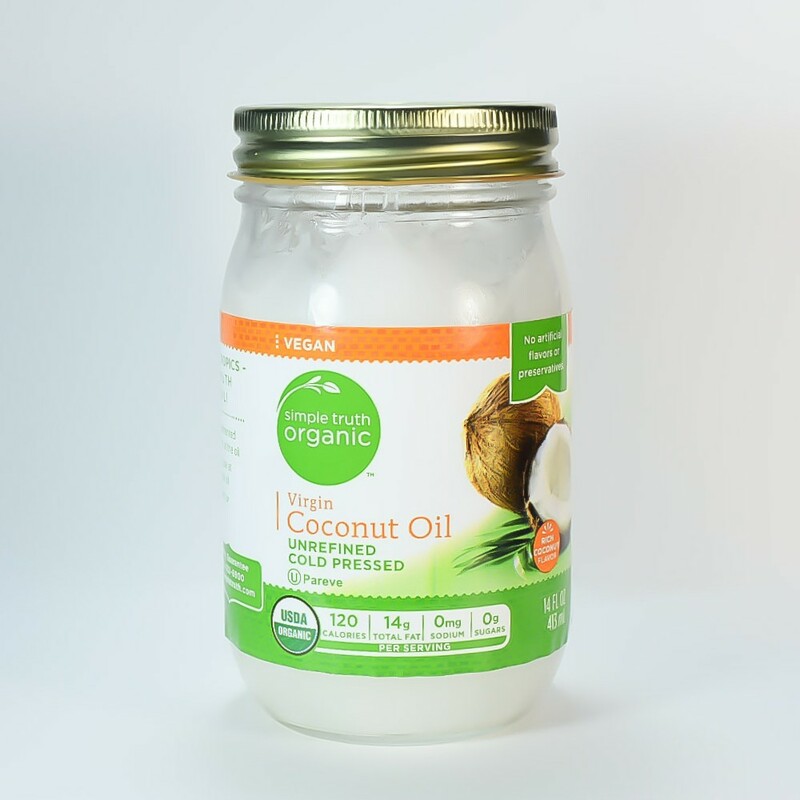 Fill the rest of the way with Organic Unrefined Cold Pressed Virgin coconut oil. For today, I used Kroger Simple Truth brand. I love coconut oil and use it for cooking, lotion, and hair treatments. 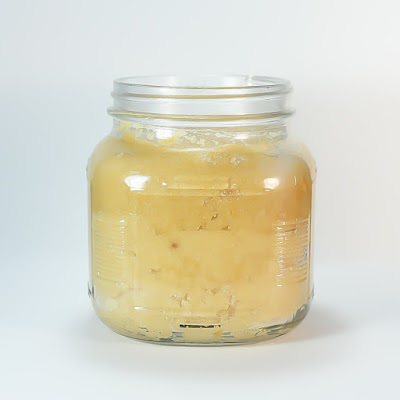 I slather this on my hair, put a shower cap on, and let it sit for about 30 minutes. My hair is so smooth after using this. My kid's favorite granola bars are made with coconut oil. I even use it on my face. Love, love, love this stuff. Mix everything together. If you need to, dump it in a bowl and mix around. Once mixed, repack into container. I like my sugar scrub more on the sugar side. I want it to be held together by the coconut oil, but not too greasy that it just slides off my hands. Think of a consistency of wet sand that's great for making sand castles. That's the consistency you want. Easy, right? 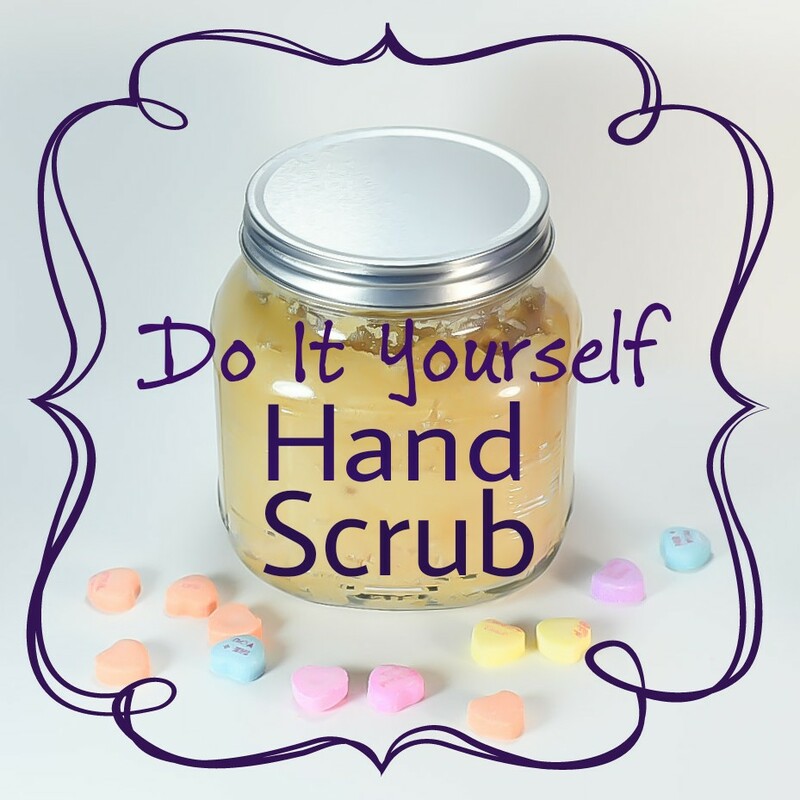 I use about a tablespoon and gently rub on my hands about twice a week. This is even great for your body and feet. I like it without any added scents, but if you're looking for an added aroma, add in essential oils or even vanilla extract. I have made this for gifts. Slap a fancy ribbon around it, make a label, and it turns into a pretty pampering gift. Dump it all together and mix. If you liked this simple and easy sugar hand scrub, give this post a share! Thanks so much for reading! I love coconut oil for everything too! 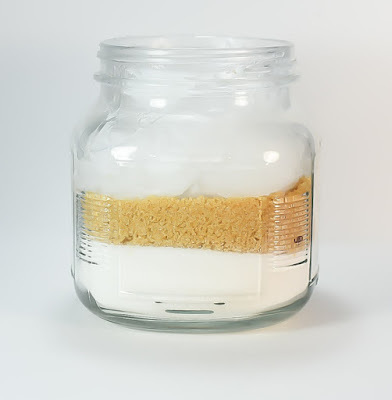 This is a great idea for home and as a diy gift. Love, love! Such an easy DIY. Definitely trying this one out. I'm going to try this!! Looks pretty easy. Thank you for sharing it. 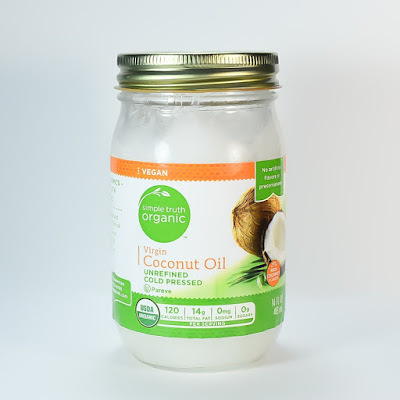 Isn't coconut oil just the greatest thing since sliced bread? That stuff is amazing. I use it as a moisturizer under my make up most often. I just got back from Disney and one of the stores in Disney Springs has nothing but sugar scrubs but that stuff is so expensive! 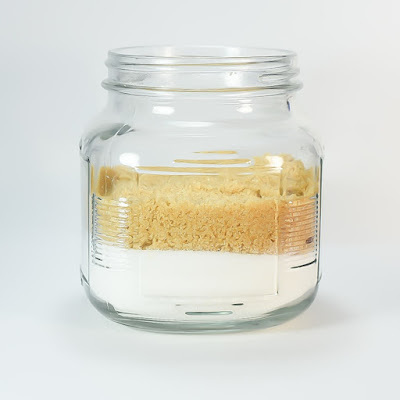 This is so simple and I have all the ingredients right at home! Thanks for this! Coming to you from the FB page Blogging Boost! Have a great day! Thanks for reading! I love coconut oil if you couldn't tell! I love making my own scrubs too! I've also done this but with only one kind of sugar. I will definitely try it your way. Thanks! Love this recipe! I'm a fan of both handscrubs and coconut oil! I'll definitely give this recipe a try! I'm glad you liked my post! Thanks for reading!